Since it's the holidays I thought origami would be fun to try. It is so fun and takes a lot of concentration! 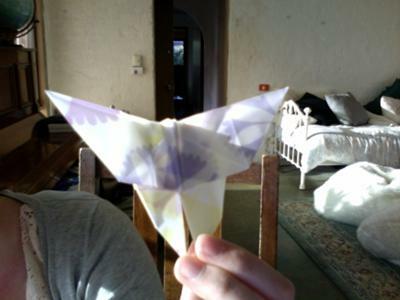 I found the butterfly quite easy because i've made lots of origami before and i turned out just how I wanted it. I've made so much origami on this website! I love it! SSSSSSSOOOOO CUTE! When I try and make one it looks so ugly. Anyway keep up the good work!